Just like in the movies, we like to create drama and mood in our images. Dramatic and moody images have so much depth and artistry. This is exactly what we wanted to create with Melissa & Domenic’s creative shoot. Adelaide is a beautiful city, especially in the evening when the lights come up. Even more so on a game day when the Adelaide Oval’s lights come up. So, we intentionally, picked a game day to do this shoot. To get these dramatic images we had to shoot mediately as the sun went down and just before it turned into totally dark skies. 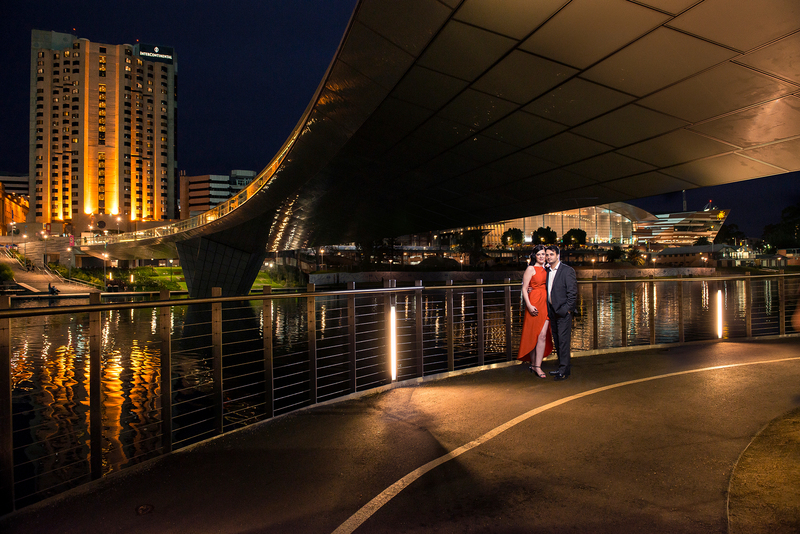 Being winter, this gave us a window of about 35 minutes to get this “Adelaide by night” shoot done. Must say it was well worth the effort.